Defines the maximum number of data sets to be shown in the chart. If -1 is entered here, all data sets will be displayed. Define how many data records should be shown when the chart is loaded. 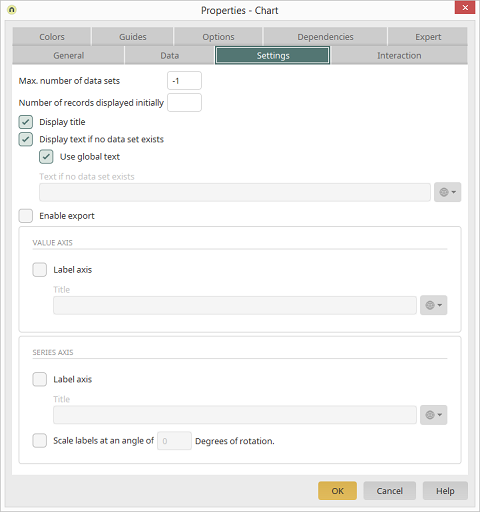 With this setting, a button will be shown next to the chart in the browser that can be used to select an export format. The chart can be exported as a jpg, png, svg or pdf file. Enter a label for the Value/Series axis here. The series axis labels will be rotated by the angle entered here.